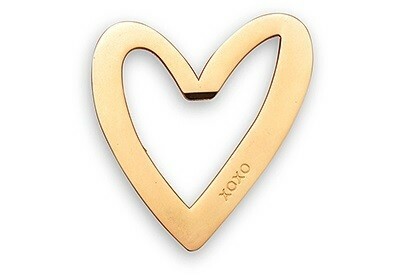 Dimensions: 2 3/8 x 2 3/4" x 1/8"
This matte-gold-finish-metal bottle opener features a contemporary stylized heart design with a subtle "XOXO" etched on one side of the heart. A perfect favor for an engagement party that your guests will love taking home. Each opener is presented on a stylish backer-card. PLEASE NOTE: Sold individually.